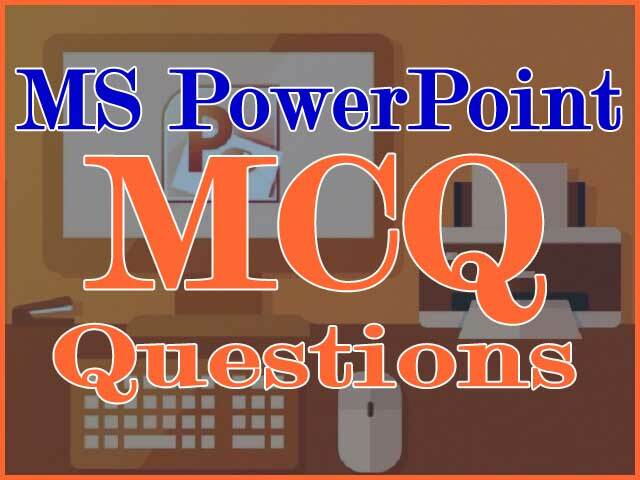 This section contains MCQ and Aptitude questions and answers on MS PowerPoint for PSC IT Assistant, IBPS Clerk, IBPS PO, SBI Clerk, SBI PO, and other banking exams. 22. Which shortcut key inserts a new slide in the current presentation? 23. What happens if you select the first and second slide and then click on New Slide button on the toolbar? 24. Which of the following method can insert a new slide in the current presentation? 13. What lets you to create a new presentation by selecting ready-made font color and graphics effects?